More of the facial features have been refined and the body is nearly complete. 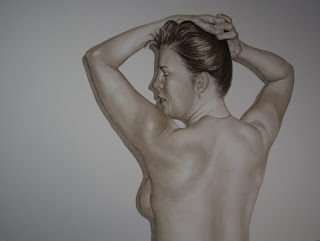 Several layers of sepia have been added in progressively darker washes to give the hair more shine and depth. Now just the final tweaking to complete this portrait.